Breaking a key or losing it can render people helpless if they don’t have a spare key to open the particular lock. Moreover, everyday locks that are subjected to a lot of use may lose their efficiency overtime and fail to operate at one point of time. We know how frustrating and stressful being locked out of your own home, or losing access to a file cabinet holding vital business contracts can be. It may drive people to the point of forcing open the lock, damaging it or breaking open a window or door to gain access. What if Advanced Locksmith Service tells you that you don’t have to resort to such drastic measures? 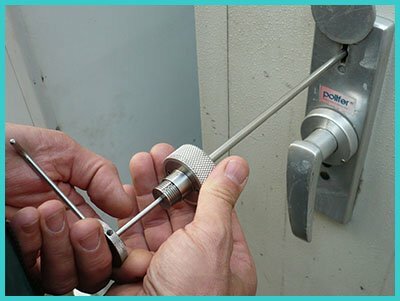 We have been providing lock opening services to clients in Beltsville, MD area and have amassed a reputation for the quality and damage-free service we render. Yes, but not just by anyone. Entrust the responsibility to an incompetent locksmith and you’ll find your locks in the worst state by the time they’re through. This is why you need an expert professional locksmith to implement a lock opening procedure without causing any damage to your property or the lock itself. In order to successfully carry out a lock opening, locksmiths need to be familiar with the working of various lock systems, have a great deal of skill, attention to detail and patience. During the formal training we provide to our locksmiths, we ensure that they completely understand the various components, the mechanics, structure, key operation and more. This enables them to arrive at an appropriate solution to the problem. We know that hammering a lock down will open it, but it will end up costing you an expensive replacement. This is why we carry an assemblage of high-end tools and equipment that enable our technicians to exploit any mechanical defects or loopholes in the lock systems and open the lock without causing any damage. From picking the lock to creating a new key to open the lock, our mobile vans are loaded with the tools to enable our technicians to do everything it takes to open your locks. It happens to the best of us – we misplace the keys, we forget the combination on the digital lock or we simply have a bad day where a lock chooses the wrong moment to malfunction. 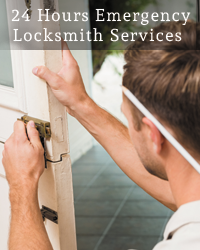 Be it the middle of the night or 3:00 am in the morning, our professional locksmiths provide lock opening service 24-hours a day, 7 days a week. Call us at 301-289-7759 to avail our services today!